Bruce Gunnar Hagblom of Kelowna passed away peacefully on April 4, 2019 at Kelowna General Hospital at the age of 76. Bruce will be missed by his wife Yvonne of 55 years, their 3 children Jen, Sue (Dale Strymecki), David (Kara), and his 6 grandchildren, Cassie, Stephanie, Tessa, Danielle, Erik, and Yvaine. His family was a central part of his life and he worked hard to provide for them, and he loved to tease his grandchildren with his dry sense of humor. Bruce was predeceased by his parents Gunnar and Hilma, and his sister Edith. He is survived by his sister Sylvia (Paul Pierron), and numerous in-laws, nieces, and nephews. Bruce moved his family from Coquitlam, BC, where he was born and raised, to Kelowna in 1981. 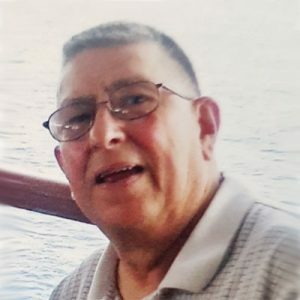 His intelligence and acute business sense helped Bruce and Yvonne start and successfully run the following businesses throughout the years: BC Belting, Five H Sales, The Rite Connection, and DSC Sales until days before his passing. He was passionate about providing exceptional customer service and he built long standing relationships in the Industrial Belting & Hose industry throughout Western Canada. Bruce loved hunting and fishing, and he was an avid golfer with a long-standing membership at the Kelowna Golf and Country Club. Bruce’s family would like to express thanks to the doctors and nurses at Kelowna General Hospital that provided care for him in his final days. At his request, there will not be a formal service. A Celebration of Life will be held on Saturday, April 27, 2019 from 10:00 am – 12:30 pm at the Springfield Funeral Home Family Center, 2020 Springfield Rd, Kelowna, BC. In lieu of flowers, donations may be made to the Canadian Red Cross, www.redcross.ca or the BC SPCA, www.spca.bc.ca. The service for HAGBLOM, Bruce Gunnar is scheduled for Saturday, April 27, 2019 from 10:00 am – 12:30 pm . Below you will find the map for the service location and the contact information should you have any questions. I’m so sorry for the loss of your husband, father, grandfather, brother and friend. I hope you find some peace in knowing your memories will never be taken away from you. Cherish every one of them, hold them close to your heart and share them frequently. I’m here for you Jen. Sorry to hear of Bruce’s passing. Sending our Deepest Condolences to Yvonne and Family. Sorry to hear of Bruce’s passing. I don’t think I can make it for the 27th. I have medical appointments myself. Pat and I are very shocked and saddened to read about Bruce’s passing, Our thoughts are with you all. We immediately reflect on our time spent over the years and various golfing and social experiences together in Vancouver and the Okanagan. I never could handle his one finger from the top gin and tonics, and never could even try and out hit him on the golf course. We will miss him and glad we shared some of our experiences. **We remember Uncle Bruce as Mom’s younger brother. ( As his sister, Sylvia,) I will remember him as my baby brother who spent so much time with our father Gunnar Hagblom. We didn’t keep in touch as we moved to the Okanagan before he married Yvonne. Thank God, I have a good memory —of the years he was still at home and going to Elementary School and taking part in the activities he enjoyed with his friends from Fraser Mills Townsite where we lived until we 3 children married. ** Bruce was a high achiever in School and ran successful businesses while he lived. We—as a family —Paul and Sylvia Pierron, and our 6 children Cyndy, Tom, Dawn, John, Paula and Troy are so sad to know—he is gone. We will always cherish the too short time with him and family. Love and Sympathy to the whole family from Bruce’s sister Sylvia and Paul Pierron and family. Cherish the memories you have developed over the years. With those memories, he will always be alive in your heart. Our thoughts are with you and your family with this time of mourning.